PRIMESPORT provides official gameday experiences. Ticket prices may be above or below face value. Sign up below if you're interested in learning more about our full range of Masters offerings for 2020, including private home rentals, corporate entertaining, Masters tickets and hospitality options, all just steps away from Augusta. 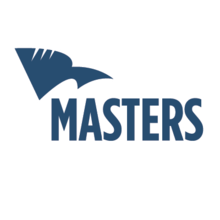 You can buy Masters tickets directly from PRIMESPORT. Avoid the risk and anxiety of the ticket lottery and let PRIMESPORT provide you with Masters experience of a lifetime. Needing to sell your Masters tickets this year? Let PRIMESPORT’s guaranteed seller reputation do the work for you. Fill out the “Sell your Tickets or Badges” link above and PRIMESPORT will contact you to help. If you are stuck with tickets on your hands or if you need access to the most elite tournament in golf, PRIMESPORT is your resource for Masters in 2020. Whether you’re looking for badges for practice rounds, the famous Par 3 Contest on Wednesday, opening day on Thursday, moving day on Saturday or championship day on Sunday, PRIMESPORT can help you enjoy the tradition of Masters. Our Masters experiences include access to our exclusive full service hospitality venues the Executive Club, the Garden City Club and the Northwood Club, located just outside of Augusta. Hospitality access can include: breakfast, lunch, afternoon hors d’oeuvres, all day premium bar service, concierge service, business center, private outdoor patio and much more. Go big with an all-inclusive Masters ticket and hotel package and truly experience the tradition known as Masters. PRIMESPORT offers everything you need to make the 2020 Masters one to remember. Your Masters package can include Masters tickets (or badges, as the tournament passes are often called), meals, once-in-a-lifetime experiences, transportation, hotel rooms, exclusive events, basically everything you could possibly need to make the first week in April unforgettable. Masters, known as “A tradition unlike any other” is the first major of the year in professional golf. Masters is held each year at the course in Augusta, Georgia. The course and the tournament were both inspired by Georgia native and Georgia Tech graduate Robert “Bobby” Jones. The golf tournament was first held in 1934 and was originally known as “The Invitational”. Known for its prestige, with competitors allowed entry only by invitation, the title of Masters Champion is one of the most elite in professional golf. Each year’s champion is awarded the famed green jacket and a place in the champion’s locker room. Jack Nicklaus has donned the green jacket more than any other with 6 Masters Wins in his career. Played every year in the first full week of April, Masters is one of the most followed sporting events in the world. Masters is played each year at the private course in Augusta, Georgia. Founded by golf legend Bobby Jones and designed by Alister Mackenzie, Augusta is one of the most unique golf courses in the world. Other than its competitive challenges, “The National”, is known for its beauty. Home to more than 80,000 plants of over 350 varieties the course has been described by golfers as “heaven on earth”. Located on Washington, Rd., Augusta is only minutes away from the city's Historic district alongside the Savannah River. Around the course, members’ cabins can be spotted including the Eisenhower cottage, where President and Mrs. Eisenhower stayed during their visits to the famed golf course. Augusta’s southern charm and the history and tradition of the golf tournament make Augusta one of Georgia’s most prized locations. The 2020 Masters Tournament will be the 84th edition and will take place April 6th-12th in Augusta, Georgia. Masters festivities will begin Tuesday night with the Champions dinner, hosted by last year's champion, Patrick Reed. If you're the type of sports fan that likes to plan ahead, PRIMESPORT will also have tickets and hotel packages available for the 2020 Masters as well. Scheduled for its traditional early April time slot, Masters 2020 will run April 6th through April 12th. And if you're looking for other bucket-list sporting events to attend, check out our ticket and hotel packages for the Kentucky Derby and the Super Bowl. PRIMESPORT, LLC is not sponsored by, affiliated with, or a partner of The Masters Golf Tournament, Augusta National Golf Club, or August National, Inc. PRIMESPORT, LLC is an independent global sports travel & event management company and a provider of corporate and fan travel packages and hospitality events.